At an official event in Berlin on Friday evening, Volkswagen officially revealed the 6th generation, 2018 Polo. 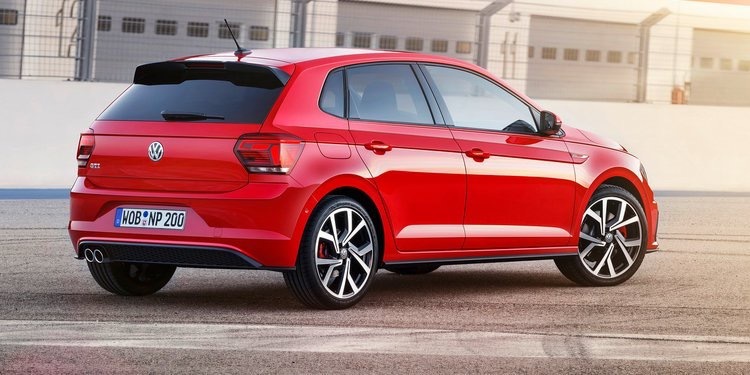 The all new Polo looks radically different from the previous model. 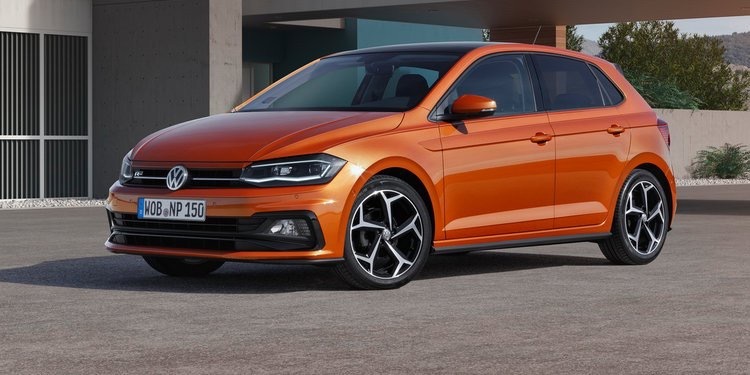 It features new, Golf-like styling and bigger dimensions – the Polo is now 81mm longer and has an overall wheelbase just 66mm shorter than a MK5 Golf (a car in a completely different segment). It also features a bigger boot, which has grown from 280 to 351 litres. A variety of engines will be available in the new Polo. At the bottom of the range are two 1.0L 3-cylinder petrol engines producing 48kW and 55kW, which will be available exclusively with a 5-speed manual. Above that are 2 more 1.0L 3-cylinder petrols with outputs of 70kW and 85kW, paired to a 5-speed manual, 6-speed manual or an optional 7-speed dual clutch auto. At the top of the range are a 110kW 1.5L petrol taken from the Golf and a 147kW 2.0L petrol, the latter which will power the GTI. In addition, a 59kW 1.6L 4-cylinder diesel paired to a 5-speed manual and a 70kW 1.6L 6-speed manual/7-speed DSG will also be offered for diesel buyers. All models will be front wheel drive, with an AWD model believed to be in the pipeline with the MQB-A0 platform. Inside, the new Polo is full of tech. It features a centre glossy infotainment screen with sizes ranging from 6.5 to 8 inches, and VW/Audi’s signature Active Info Display digital instrument cluster. Safety wise, there is City Emergency Braking (aka AEB), Pedestrian Monotoring, adaptive cruise control, blind spot monitoring, rear cross-traffic alert and park assist. Further, similarly to the MK5 Polo, a special Beats variant will be offered alongside the Comfortline, Trendline, Highline and GTI, featuring a 300-watt speaker system and a red stripe among other things. What do you guys think of the new Polo? Let me know down below! whoah this weblog is fantastic i love studying your articles. Stay up the good work! You realize, lots of persons are searching around for this information, you can help them greatly. Next PostNext UCBW is dead.